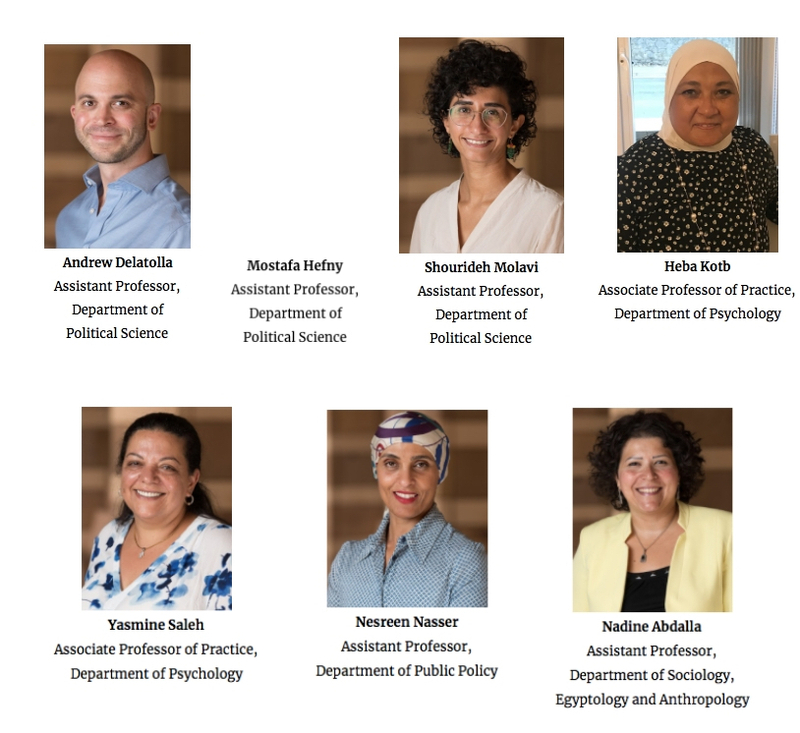 Hailing from all over the globe and holding citizenships from over nine countries, this year's 43 new faculty members bring a diverse set of skills, interests and knowledge to AUC’s growing community. The incoming faculty members have spent the first month of classes settling in and planning their next steps, whether it be writing their next book, working on education reformation or collaborating with colleagues to foster sustainable ecological practices. Karkouti’s current research focuses on diversity issues in higher education, the use of technology in the classroom and the types of social support K-12 teachers need to embrace in order to implement reform. He is looking forward to reaching out to underserved communities in Egypt and is hoping his time here will be “transformative.” “I am confident that my experience at AUC will help me define what life really means,” he affirmed. Saleh has been collaborating with a colleague at AUC’s Department of Psychology, as a consultant with the United Nations Children's Fund, the Ministry of Social Solidarity and the National Council for Childhood and Motherhood in a joint program to build capacity among Egyptian child-protection social workers. 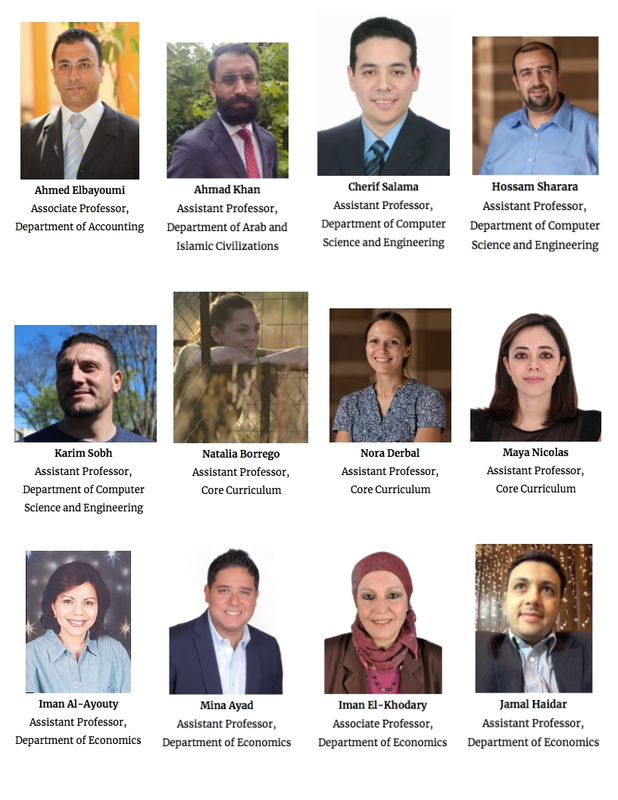 During her time at AUC, Saleh plans to challenge her knowledge of how to deliver primarily “Western” concepts to make them more applicable for students to use in the practical world. In her downtime, Saleh hopes to travel and explore. “I find joy in getting to know how we are all more alike than different,” said Saleh. 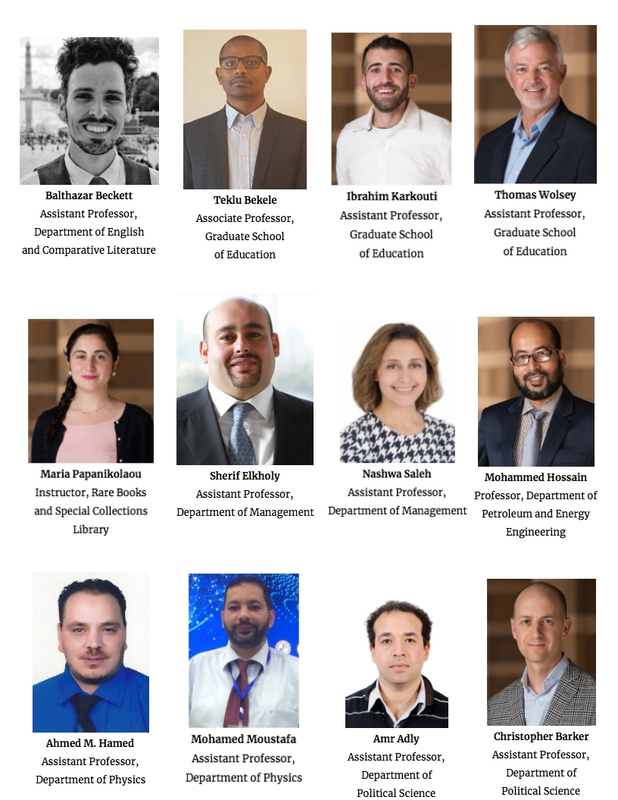 Some faculty members did not expect to find themselves in Cairo at all, like Thomas Wolsey, assistant professor in the Graduate School of Education. “I enjoyed my work as a consultant and working on my small ranch in California, but when the opportunity to work in Cairo came up, I knew I had to jump,” he said. Wolsey said he is eager to find opportunities to channel AUC’s efforts to foster sustainable ecological practices in building and agriculture. He plans to expand those efforts as much as possible and is pleased to report that he has already found two colleagues who want to collaborate with him on research.